Nice! 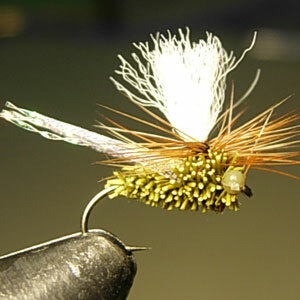 What are you using on the back of the Stonefly's? ....ThinSkin? Yes JD it's thin skin, mottled olive on the green stonefly, gives a nice effect, haven't used it much before, it's good stuff. 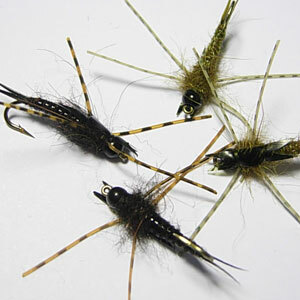 What hook size/type are you using for both the stonefly and the cicada? Dave Tiemco 200R #10 or #12 on the stoneflies, up one size for the green stonefly because it's larger. They are the ideal stonefly hook, tried them on the TMC2302 first but they didn't look quite right. I put those stonflies away in a very safe place, too safe cos i can't find the buggers now! !